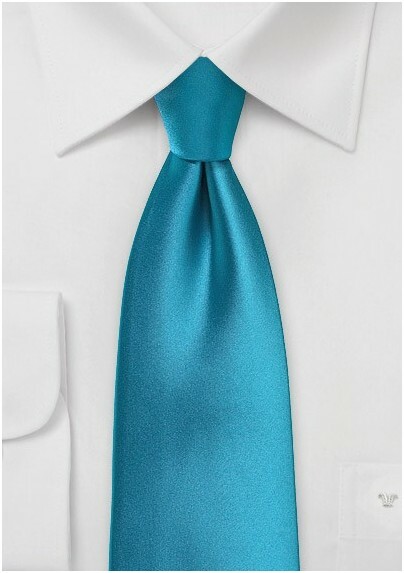 Try out a new shade for Spring with the Single Colored Necktie in Peacock Blue. The unique hue is enhanced by the stain-like material for a glistening effect. 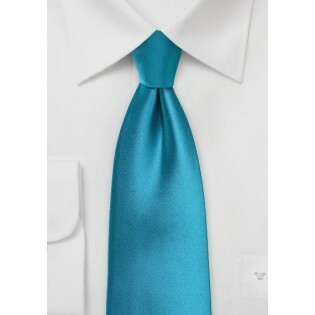 Wear it with a grey suit and white dress shirt to really make that color pop!